Have a Blast With a Key West Boat Rental! Whether you're looking to spend a day on the clear blue waters of the gulf or the shallow back country areas of the lower keys, there's an ideal Key West boat rental just waiting for you. We are here to help. Let our list of Key West boat rental outfitters assist you in finding the perfect boat rental, at the best possible price. Our directory list also includes other boat rentals in the Florida Keys, such as in Summerland Key & Marathon, just up the road. To rent a boat most of the boat rental outfitters require a minimum age of at least 21, a drivers license and a major credit card. They may also require that you have prior boating experience to be eligible to rent their boats. You will find that the majority of the boats will include all the recommend United States Coast Guard equipment, including life jackets, maps and gps devices. The boat rental prices can vary greatly depending on the size of the boat and engines. Most of the boat rental outfitters will offer half day, daily and weekly boat rental rates. The rental rates can also vary quite a bit between charter companies so by shopping around you may save a fair amout of money. Looking for a boat rental? Sunset features some of the best Key West boat rental rates we've found in the lower Keys. They also offer one of the islands largest selection of boat rentals to choose from. They have boat rentals that are fully equipped for fishing and the open seas or even speedy little runabouts that are a blast to operate. They also have pontoon boat rentals that are the perfect fit for exploring and just cruising around the lower keys. Sunset is one of the oldest boat rental outfitters and is considered the premier watersport outfitter on the island. Sunset's boat rental rates are some of the best we've seen and if you use their online discounts you can save an additional $50 on your boat rental. You can rent a boat for a full day for just $175. They also offer a half date rate as an additional option. Sunset boat rentals is located in the Hurricane Hole Marina just before the last bridge to Key West. Sunset has a number of other convenient rental locations. They include the main location at the Key West Bight Seaport and Smathers Beach. Their Smathers location offers a wide selection of watersport rental activities. The folks at Boat Rentals Key West will provide you with excellent service and supply you with a boat that best fits your needs. The have light weight skiffs to explore the shallow back water country or large center console models to cruise the deep waters of the gulf. Their boat rental rates vary from approx. $200 for a half day boat rental to $395 for an 8 hour rental, depending on the size boat you choose. Boat Rentals of Key West- Some of the Best Kept Boats in the Key West Area! Boat Rentals of Key West has been serving the Florida Keys for over 20 years. They are located at the Galleon Marina. You have the choice between a half or a full days rental. They have a good selection of boat to choose from as well. You should stop by and check out our boat inventory. All boats will be equipped with fish finders, live wells, stereos, life jackets- cushions, beverage coolers and protection from the sun. While enjoying your stay on the island be sure to check out Keys Boat Rentals. They offer boat rentals for just about all the activities that the Florida Keys has to offer. Whether it's snorkeling, diving, fishing or just cruising around the Keys they have just the boat to fit your exact needs. They will also will deliver your boat to your location if you make arrangements in advance. Keys Boat Rentals also offers special group rates and packages for groups of 6 people or larger. The owner, Joe Jennison is a former fishing guide who will be happy to fishing and provide you with a few tips. Big Pine Key Boat Rentals - featuring the lowest prices in the lower Keys. Big Pine Key Boat rental offers some of the best pricing we've seen. They also feature one of the largest selections of boats to choose from with over fifteen different models. Their full day rates vary from $195 to $300 for some of the larger vessels. Big Pine offers paddleboard and kayak rentals if a power boat rental is not for you. Big Pine will customize a private dive charter and will also deliver your boat rental for a $75 delivery charge. They offer discounted boat rentals for any rentals 3 days or longer and even monthly rentals. They are located at mile marker 33 in Big Pine Key. Click here to find your best deal on a Key West Boat Rental! All their boats are kept in top notch condition which is why their customers keep coming back for more. They have every kind of boat you might need to get you where the action is. They also offer a fish database that provides helpful information to assist you with your catch. They offer some of the most competitive boat rental rates and all their vessels are equipped with the latest electronic gear including graphs and GPS positioning instruments. 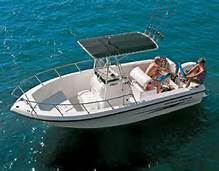 Vacation boat rentals offers everything from a sporty 17 ft. Boston Whaler to an ultra roomy 26 ft. deck boat. Choose between a sleek center console boat to take you on a snorkeling adventure or a fully equipped fishing boat with live wells, rod holders and state of the art fish finders. All their boats feature the industry best Yamaha outboard engines and all are US Coast Guard safety equipped. Their boats include sun tops, radios and coolers. They have guide services available with advance notice. Their full day rates range from $325 to $475. They require a $125 deposit to reserve your boat and a $1000 credit card authorization to insure you return the boat damage free. 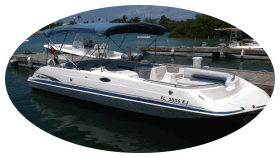 Key West boat rentals features some of the best equipped boats in Key West. Their boats come equipped with GPS units, fish locators, live wells, VHF Radios, Bimini tops and snorkel ladders. Their 22 foot center console boats will hold up to six people and range in price from $250 for a half day trip or $350 for a full day excursion. They offer discounts for three, five and seven day boat rentals. Key West boat rental is a popular choice for all your water sport needs. Besides power boat rentals they also offer kayak and paddle board rentals. Their rates vary from $350 per half day to $495 for a full days rental. You can also arrange for a guide for $100 for a 1/2 day or $150 for a full day. They are centrally located in the Conch Harbor and offer free parking. The Garrison Bight Marina offers a nice central location and is a full service marina that also offers boat rentals as part of their services. Their boats range in price from $200 per half day for an 18' 90hp Sea Chaser boat to $550 for a full day for the 200 hp 23' sea fox model. Overall They have six different size boats to choose from. Their boats are all fully Coast Guard equipped and safety approved and include anchors, radios, maps and protective hoods. Must be 21 yrs of age and have a valid ID and have prior boating experience. Cancellations are required to be at least 24 hours in advance. Aquatic Boat Rentals - Your choice, with or without guides. Aquatic Boat Rentals offers both guided jet ski tours or power boat rentals. They have four different boats to choose from ranging from 15' to 24' in length. Their hurricane deck boat rentlas are the perfect choice for snorkeling, scuba diving, or just cruising around the islands. Stop on over to Bump & jump on your next Key West vacation rental getaway. Bump & jump pride themselves with their excellent customer service and they also feature very competitive pricing. They have seven different size boats to choose from depending on your needs. Their prices range from just $165 per day for a 15' Boston Whaler to $540 per day for a deluxe 29' twin 225 horse offshore angler. They also offer discounted weekly boat rental rates and half day rental rates. They have locations in both Islamorada & Key Largo but will deliver anywhere in the Keys, including Key West for a fee. Keys rent a boat offers some of the best pricing on boat rentals in the lower Keys with rental pricing starting at just $100 per day. They are located at Summerland Key and will deliver for a nominal fee. They offer both fishing equipment and snorkeling gear. Their boats are fully safety equipped and include GPS electronics and compasses. Living the Dream boat rentals has seven different rental options to pick from. They are located 25 miles up the road from Key West in Summerland Key. Their rates are competitive and range in price from $200 to $300 for a full day. They also have a few kayak rentals available for just $25 per day which is a cheap as we've found. They have a 48 hour cancellation policy and will refund up until the time of your reservation for heavy rain or small craft weather warnings. Jerry's offers seven different sized boats to choose from. Jerry's has some of the lower priced rentals that we've come across. A full days rental ranges from $165 to $230 for a 24' pontoon boat. They have bait and ice available and can also supply fishing and snorkel gear. Other water sport rentals available from Jerry's are jet ski's and kayak rentals. Captain Hooks is located 54 miles up the road from Key West in Marathon, Fl. Their full days rates vary from $205 to $325 and weekly discounts are available. Their boats all have GPS, fish locators, radios and the proper coast guard approved gear. All Aboard Boat Rentals - offering fantastic boat rental rates! Captain Brian Aronoff is the proud owner of All Aboard Boat Rentals. Brian has nine different boat models to choose from. Brian's rates are among the cheaper rates in the area with full day rates ranging in price from just $150 to $325 for a twin engine 27' boat. Their boats all come equipped with GPS and fish locators. Snorkel gear and fishing equipment are available for rent. Coolers, dip nets and diving flags are included upon request at no charge. All Aboard Rentals is located at mile marker 54, 63 Coco Plum Drive Marathon, FL 33050. Fish'n Fun offers a full compliment of rental boats to fit your needs. They have eleven different models to choose from. Their rates range in price from $200 to $500 for a full days rental. They offer discounts for any rentals three days or longer. Fish'n Fun will supply a skipper guide for an additional charge. Their boats are equipped with GPS, fish locators, Radios, safety gear, livewells, coolers, dive warning flags, swimmers ladder and outriggers are also available on their bigger boats. You will find the folks at Quality Boat Rental located at the Seven Mile Marina in Marathon. They have six different sized boat rentals to choose from ranging in size from a twenty foot Mako to the roomy twenty nine ft. Proline featuring double 200hp Yamahas. Quality boat rentals offers a few advantages over their competitors, including free delivery of your boat to your dock (3 day rental required) and they allow you to venture up to twenty five miles. Many of the boat rental companies will only allow you to travel a distance of a ten mile radius. Their larger boat rentals come equipped with outriggers and all the gear needed for offshore fishing. You can ship your fishing gear to them in advance and they will deliver it with your boat. One bonus if you're a fisherman is that they will provide you with the latest fishing reports and even give you the gps locations of where the hot bite is taking place. They have a fourteen day refund cancellation policy. Captain Pips Marina is located at mile marker 47 in Marathon Florida. They offer boat rentals ranging in size for 20' to 24' in length. They offer some of the more competitive boat rental rates in the Keys. Their boat rentals range in price from $200 per day to $300 per day, which is among the lower priced boat rentals that we've seen. Their rental policies include: $50 deposit to hold rental which is applied towards the boat rental, must be 21 years of age or completed a safety boating course, $300 security deposit to insure safe return of the boat. Tropical rentals has seven different sized boats to choose from in their inventory. They are located in Marathon but will deliver to Key West. If you're rental accommodation does not have boat slips available, they offer free docking at their Marathon location. 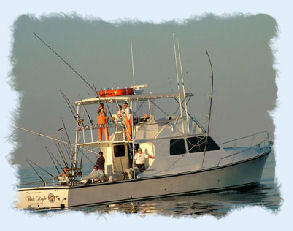 Their boats come well equipped and are certainly a good choice if you're looking for a fishing adventure. They are very helpful to fisherman by providing you with the latest fishing reports and tips on where to go. They offer guide services as an additional option. 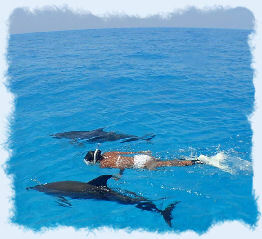 If you're looking to scuba dive or snorkel they will fill you in on the best locations. Bradenton and Sarasotas' discount boat rental / charter company. Vacation on Floridas West, Central coast and rent a boat barefoot, go fishing, visit Egmont Key see the Crystal clear waters of the Gulf of Mexico, go sightseeing, watch Dolphins and Manatees. 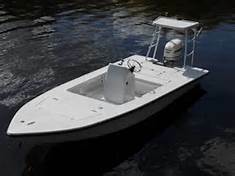 Boat rentals in Key West, florida keys boat rentals, key west boat rentals, marathon boat rentals, big pine boat rentals, key west fishing boat rentals, boat rentals in islamorda, boat rentals in florida, key largo boat rentals, key west boats. Find the perfect Florida Keys and Key West boat rental to fit your needs on your next trip to the Keys. Let our outfitter listing of rental boats in Key West help you decide on which Key West boat rental is right for you.